Positive Booklist It seems at first that this contemporary thriller will follow a predictable path...but wait ... Another solid psychological thriller from Frances, herself a former script editor and producer. Positive Booklist The story of the cult that Gideon has survived is more compelling than that of the psychosexual serial killer stalking Daisy. At more than 500 pages, this is a lengthy introduction to a projected series set in Sacramento. Fans of best-selling Rose will appreciate getting what amounts to two stories in one in this fast-paced read. Positive Booklist Hunt’s latest will please fans of psychological thrillers, especially those featuring unhinged, vengeance-seeking women. Positive Booklist In his latest hard-to-categorize novel, Gadol creates a gauzy mix of suspense, distrust, and speculation ... This is Patricia Highsmith–style suspense, edgy and a little dreamy, with a sense of uncertainty lurking everywhere. Positive Booklist Readers will easily race through the novel to find out how the two stories are related and if there’s any chance at a happy ending. An engaging read for suspense fans who can’t get enough of the woman-in-peril theme. Rave Booklist ...Rachel Levis and her best friend, Magda, investigate the death of Rachel’s old beau, Edgar Bowen, who appears to have drowned in his soup. 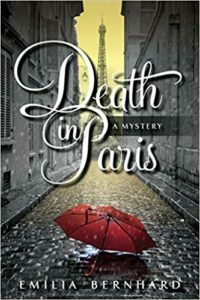 Rachel tries to keep her sleuthing under wraps from her husband, but once she’s named in Edgar’s will and is asked to organize the dead financier’s library, she has to come clean about how she’s been spending her time—learning about suspects ... Though set in the present, the book has a timeless quality—mentions of a podcast or a pop-culture reference are the only things keeping the story from taking place at any point in the last 30 years. Fans of cozies and the City of Lights, or drawn to the theme of female friendship, will eagerly await an encore. Pair this with Cara Black’s beloved Aimée Leduc series. Positive Booklist Donlea does a fine job of introducing several characters who have enough in common to be considered suspects, without ever tipping her hand. The reveal is a little over the top, but the chase is well worth the read.